Shine Dental offers premium yet affordable dental crowns in Fremont, CA and surrounding cities and towns. Be it ceramic, metal, PFM or zirconia crowns, our doctors make sure you get the best ones that fit your tooth perfectly. Before giving us a call, we strongly recommend you to read more about dental crowns. A dental crown is used to encircle a damaged tooth or a dental implant. It is a kind of dental restoration that is mainly used to strengthen a weakened tooth and restore the natural shape of it. Crowns are used to treat various dental conditions. They are used in preventive care procedures too. Besides the above conditions, your dentist suggests crowns to treat various dental conditions or use them in some preventive care procedures. What are the Different Types of Crowns Available? Dental crowns are classified into five major types. Crowns are classified based on the type of the material used to make them. All Ceramic Crowns: Ceramic crowns are one of the oldest types of dental crowns. They are used mostly to cap front teeth. Ceramic crowns look very close to natural teeth when it comes to the color. The downside of the ceramic crowns is their durability. All Metal Crowns: All metal crowns are a popular choice for back teeth. They are known for their strength, durability and retention. All metal crowns, however, do not blend in with natural teeth. Porcelain-fused to Metal Crowns: As the name suggests, they are a kind of hybrid crowns with porcelain fused to a metal substructure. They are popular because they are strong, and they blend in with adjacent teeth perfectly. 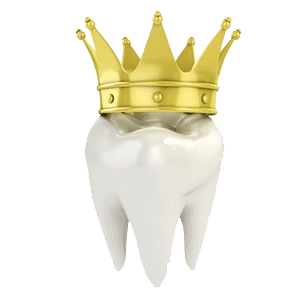 All Resin Crowns: All resin crowns are the best when it comes to looking closer to natural teeth. However, most doctors don’t suggest them because of their durability issues. They are inexpensive, though. Zirconium Crowns: Although they are expensive, they are the best when it comes to strength, durability and blending in with the adjacent teeth. They are designed using computer software, with great precision. Are you interested in knowing more information about dental crowns? Give us a call and get in touch with our dental professionals.